Julie Stuber Oliver was born on September 7, 1955 in St. Paul, Minnesota. She died peacefully at home surrounded by loved ones on March 31, 2019 in Broomfield, Colorado at the age of 63. Julie attended University of Delaware, where she received her B.S. in Business. Julie had resided in Colorado since 1990 after time in New Orleans and Maryland. She grew up in Minnesota then Delaware. 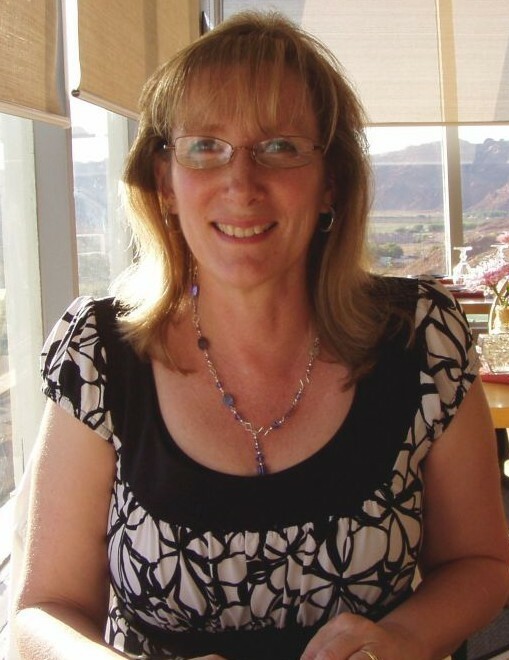 Before retiring two years ago, Julie was employed as an Accountant, Human Resources Representative and Payroll Specialist (sometimes all three at once), initially working at Inovonics for approximately ten years after arriving in Colorado. She also assisted her husband, David, with his various Broomfield Symphony activities. She is survived by David Oliver, whom she married on July 25, 2009 in Longmont, Colorado. She is also survived by her parents, Robert E. Stuber and Gloria R. Stuber, of Boulder, Colorado; her beautiful daughter, Katherine Ross Warrick (Wentz), Age 33, Merritt Island, FL (Keith Warrick, Spouse); her wonderful grandchildren, Kaydance Juliana Warrick (Age 7), Kamille Northrop Warrick (Age 5), Keith Robert Warrick (Age 3); and her siblings, Lynda L. Stuber (Santa Rosa, CA), Robert F. Stuber (Boothwyn, PA), and Barbara A. Stuber (Rocklin, CA). Julie loved her "grand babies" so much, seeing them at least twice a year. Crafts were her #1 hobby, making jewelry, making cards with her "Stampin' UP!" friends and creating Zentangle artwork more recently. She enjoyed attending concerts with her husband and parents, mainly traditional jazz. She also helped out her parents in Boulder as much as she could. Julie was sweet, kind, and willing to listen and help anyone. She was loved by many. A celebration of Julie's life will be held on Saturday, June 15, 2019 at 2:00 p.m. at Westminster Christian Church, 3575 W 96th Avenue, Westminster, CO 80031. A light reception will follow. There's still time to send flowers to the Celebration of Life at the Westminster Christian Church from 2:00 PM to 3:00 PM on June 15, 2019.